VA loans do not require any down payment or private mortgage insurance. It has competitive interest rates and the borrowers can easily qualify for this loan type. Moreover, as these loans are backed by the government, the private lenders, mostly assume lesser risks and fewer qualification standards to comply. However, VA loans because it is a federal program, guaranteed under the department of veteran affairs, demand eligibility checks, finding loan limits &funding fees, verification of property, etc. As a private lender, comprising banks and mortgage companies approved by the United States Department of Veteran Affairs (VA), you must be looking for solutions to speed up the loan processing for the veterans, reservists, service members, eligible military spouses, and national guard members. 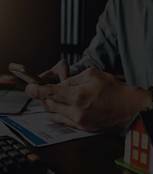 Outsource2india, one of the leading VA loan servicers can provide you with a tangible edge with its reliable back office support for VA loans. As the VA loans are guaranteed by the Department of Veterans Affairs, lenders still should execute cautiousness because of the housing market collapse. Also, the private lenders finance the loan, so they must do all the pre-qualification checks - eligibility, calculation of VA funds, etc. 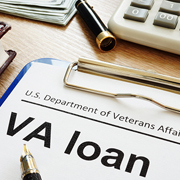 When you decide on outsourcing VA loan services to O2I, we can collect and collate the necessary qualifications' documents, including credit history, income details, service tenure, and employment history records. We can compile the information under an applicant's profile in our CRM which can be sent to underwriting. Furthermore, through the prequalification letter which we can draft, your customer can know the round figure of the loans he/she might be receiving. And if a borrower is applying for a loan through you (not online), we can help you verify his/her name, service date, headquarters details, SSC numbers, etc. 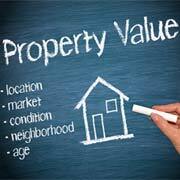 The VA appraisal gives an assessment of the property's value and is mandatory for VA loans. It does two things - establish an appraised value and ensure that homes are structurally sound and free from any health hazards. Our offsite VA loan services include a robust back-office support for your property appraisal needs. We can gather and maintain property information, including location, ownership history, title information, property's physical condition, etc. We can also support your VA mortgage loan processing by preparing the appraisal report and purchase agreement. This will ensure that the underwriter has access to accurate and complete information. Our VA mortgage loan processing support encompasses a thorough assistance for your needs of closing support requirements. We can draft the loan terms &conditions after the underwriting process is done. We can also create loan invoices for the charges incurred during the loan closing and compile the complete closing package. And as the law dictates to dispatch the closing disclosure at least three days prior to the loan closing, we can deliver the closing statements with necessary information including the down payment amounts, settlement costs, etc. Outsource2inida is an ISO 9001 certified organization which assures high-quality VA loan support services. Our loan processing team is highly motivated to help you with your closing challenges and inquiries. 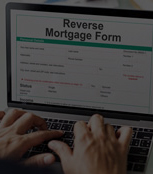 With their broad knowledge of the mortgage industry, they can connect with your customers emotionally and factually. At O2I, our team of VA loan support services executives has access to modern infrastructure in the form of world-class office spaces, uninterrupted network equipment, and the state-of-the-art tools and technologies. We have five different delivery centers and four global offices. It allows us to collaborate with you efficiently and rendering our services when and where you need. Moreover, our call center executives work day in and day out across all the time zones to cater to your needs and queries. We are an ISO/IEC 27001:2013 Information Security Management System (ISMS) certified company which ensures that all your data is completely safe with us. We follow strict data security policies to ensure that only authorized personnel access your information. You can collaborate with us on the need basis. With our flexible-pricing option, you get the advantage of choosing the scope and duration of the support services from us. Our customized VA loan support services enable us to focus on your pain points. Our assorted knowledge of the VA mortgage industry and over 10 years of service experience gives substance to our credibility and allow us to efficiently get ahead of the changing demands and render industry-wide best services. Our team of call center support executives is available 24/7. When you partner up with us, you can be certain that our contact center executive will always be available for calls during your work hours, regardless of the time zone difference. At O2I, we have the required resource competence, both in terms of expertise and support. You can depend on us for any spike in your business demands. Learn how Outsource2india simplified the underwriting process of a leading US company by processing a large number of loans in record time. Read how the O2I team streamlined quality check procedures of the loan appraisals to help customers reduce costs by 50%. I have been continually impressed by the level of professionalism and integrity of the O2I team has provided. We are looking forward to many more years of partnership with this great company. Outsource2india has been a pioneer in providing high-value VA Loan support services and a series of other mortgage solutions to its global clientele. At O2I, we have an extended suite of VA loan professionals who can provide you with a high-level of scalability &flexibility, which can be customized based on your service needs. 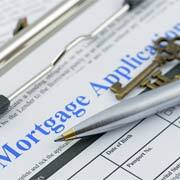 We have in-depth knowledge and understanding of the US mortgage and federal laws. 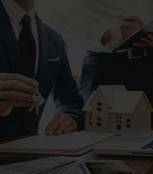 We have rendered our services to the exact requirements of retail lenders, investors, wholesale lenders, service providers, and even private mortgage insurance companies. We continuously evolve and modernize our VA loan outsourcing process to deliver immeasurable value to our clients. Get in touch with us today for reliable, efficient, and cost-effective VA loan support services.